Lauren Ganther grew up in Appleton, WI training with Jeanette Makaroff. 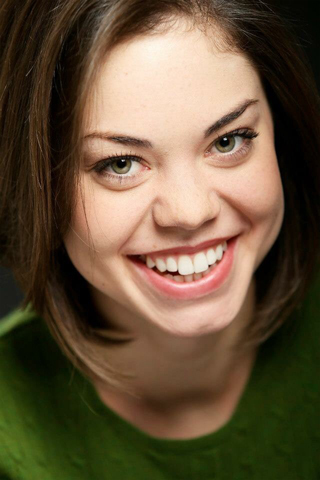 She continued her training in college and received her BFA in Dance at The Boston Conservatory. At the conservatory she studied equally in ballet and modern dance. Professionally Lauren has danced with both classical ballet companies as well as modern companies. She has danced with Jose Mateo Ballet theatre for five seasons where she danced many principal roles including Sugar Plum Fairy, Snow Queen and roles created for her by the director José Mateo. She has also danced with Convergence ballet company where she expanded her performance experience doing both featured roles in the contemporary work as well as being a soloist in the classical work. Lauren’s modern performance experience came from working with Fukudance. Her most recent company was Neos Dance Theatre where she performed a wide range of work from a reimagined Petrushka to jazz. Lauren now dances with Twin Cities Ballet.